In August, Home Depot, one of the nation’s largest and most popular home improvement retailers, agreed to settle a lawsuit filed by a former employee who accused the company of discriminating against her based on disability. According to the settlement agreement, Home Depot will pay the wronged employee $100,000 in damages, require managers and supervisors to undergo training regarding their responsibilities to reasonably accommodate employee disabilities, and keep careful records over the next two years of all accommodations requests and disability-related complaints. 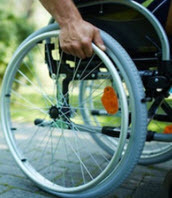 Although the wronged employee in this case was successful, filing public accommodations claims is notoriously difficult, especially for those who don’t have legal representation, so if you were discriminated against at work because of a disability, it is critical to speak with an experienced public accommodations attorney who can explain your legal options. According to a complaint filed by the wronged Home Depot employee, a store located in Peru, Illinois failed to provide her with an emergency break, despite knowing that she suffered from irritable bowel syndrome and fibromyalgia. Although the store was allegedly aware of the employee’s ailments, it refused to accommodate her when she requested a break, forcing her to leave her post unattended. Later, the employee was fired for violating company policy. This type of conduct clearly violates the Americans with Disabilities Act (ADA), which requires both private and public sector employers to provide reasonable accommodations to qualified employees who have disabilities. Under the terms of the ADA, Home Depot was required to work with the employee and help her secure coverage of her post in the event of a disability-related emergency. Send a report detailing all disability-related requests and complaints to the EEOC every six months for the next two years. For help addressing your own disability-related employment complaint, please contact our legal team today. To ensure that you are properly represented in your own ADA case, please contact one of the dedicated public accommodations attorneys at Saady & Saxe, P.A. Attorneys At Law by calling 813-909-8855 today.